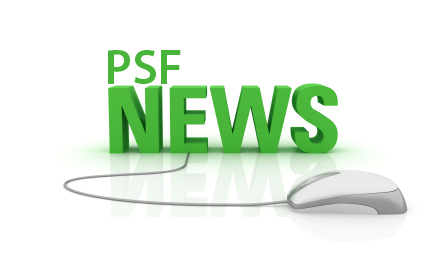 Prof. Dr. Muhammad Ashraf joined PSF as Chairman. Dr. Ashraf is HEC Distinguished National Professor with h-index of 42, total journal impact factor over 565 and Science Citation Index (SCI) over 8700 being highest among all national experimental scientists. Previously he was working as the Vice Chancellor, Muhammad Nawaz Sharif University, Multan and contributed valuable input in the development of the newly established university. He did his PhD from the University of Liverpool, UK in 1986. Dr. Ashraf devised a number of new techniques for screening and selection of salt tolerant crop cultivars. His contribution in human resource development has been remarkable. He has produced 72 PhDs and 94 M.Phils as major Supervisor and Co-Supervisor. Dr. Ashraf’s contribution to science and technology within Pakistan is tremendous which could be gauged from his active participation in more than 75 National and International Conferences and workshops. He was bestowed with the title of Distinguished Scientist of the Year 2013 in the field of Botany by the Pakistan Academy of Sciences. 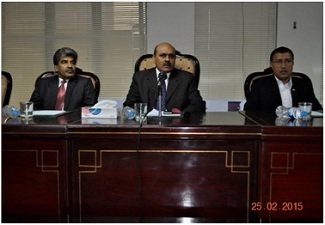 An introductory session with the New Chairman, PSF was held on 25.02.2015. All the officials warmly welcomedthe new Chairman. During his address,Dr. Ashraf shared his vision for strengthening all Foundation’s programmes. He also emphasized that efforts of each employee are most important to make the organization most vibrant. He assured his full support for the welfare of the Foundation and all employees. In the end, Dr. Khalil Ahmed Ibupoto, Member Science,gave a brief presentation about various activities of the Foundation during a meeting with PSF officers. The ChairmanPSF, appreciated the valuable suggestions of the officers for improvement and implementation of all desired plans.